Whenever I look at this sign I hear this in my head and so I’ve been singing getitgetitgetitgetitgetitgetitgirl over and over for the last two weeks. And honestly, there are worse songs to have stuck in your head so I don’t mind too terribly much. But whatever. 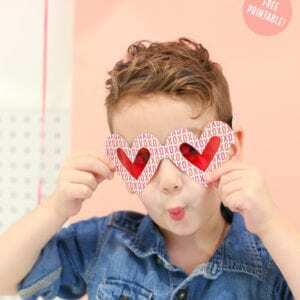 I love this project! 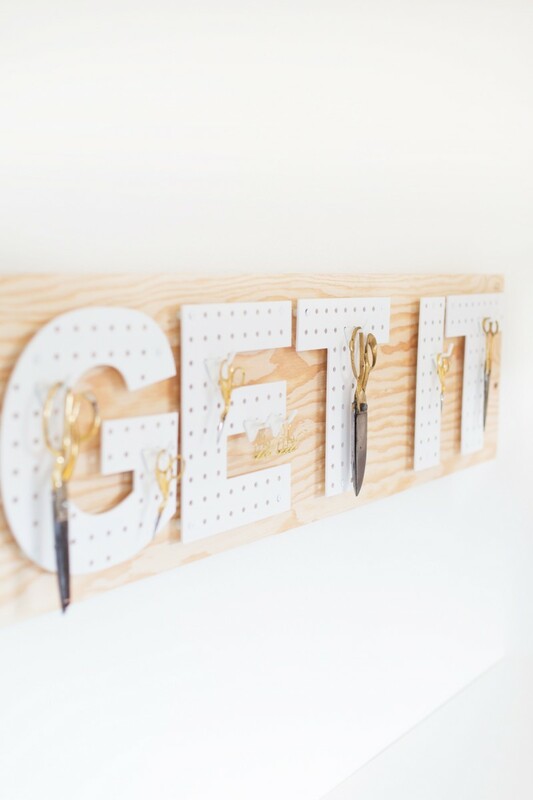 Michaels came out with these pegboard letters recently and I was stoked because I saw them and immediately this project popped into my head. And it turned out exactly how I wanted it, which definitely isn’t always the case. 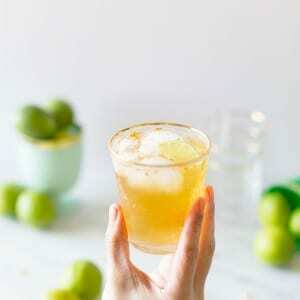 It’s super simple and comes together pretty quickly — one of those instant gratification-type projects that we love so much around here. Step 1: Pick out your letters and know what you’d like to spell. 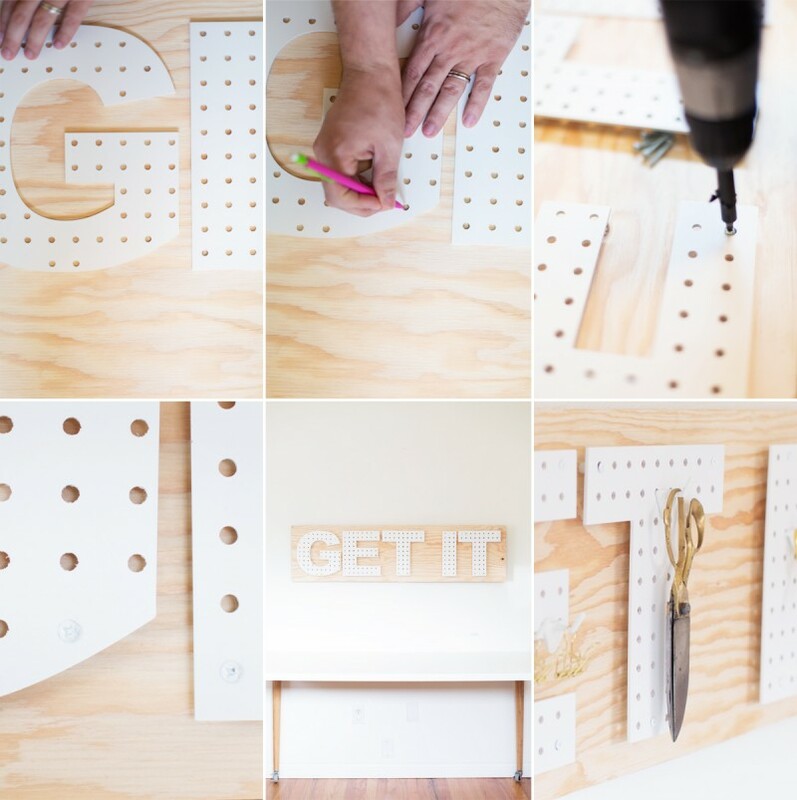 Lay it out and measure the length of all the letters together; add a couple of inches on either side. This is how long you’ll need your wood to be. You can usually talk someone into cutting it for you at the hardware store! 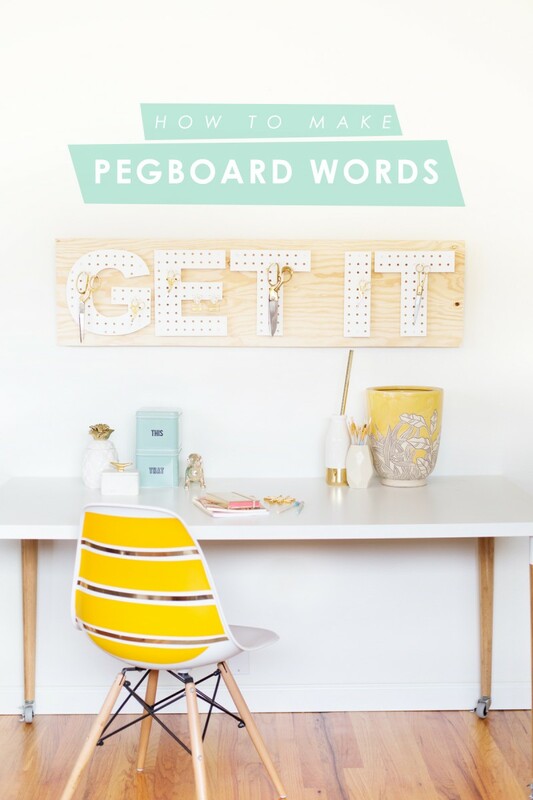 Step 2: Lay your letters out on the wood. Plan where you’ll have your screws and trace the inside of those holes onto the wood. Step 3: On each tracing, drill a little pilot hole. Step 4: Stack two washers and then a spacer onto a screw. Insert the screw through the hole you planned to use in your first letter. 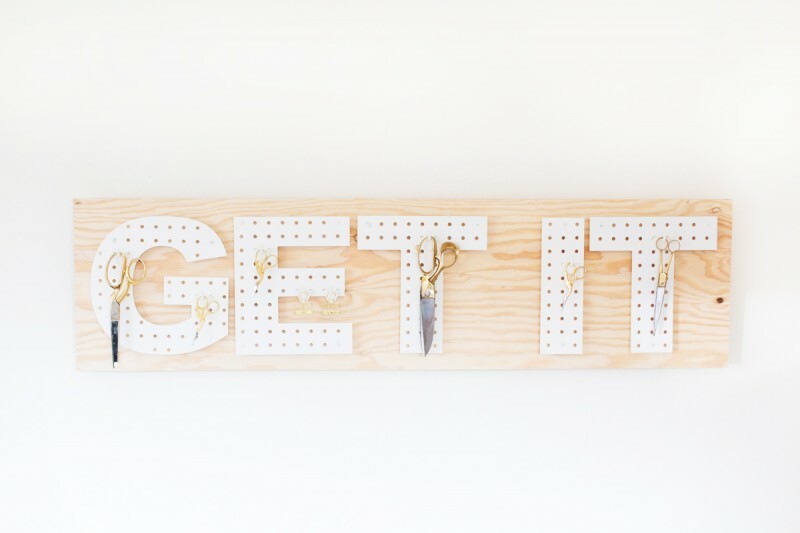 Repeat with all of the screws you plan to use on the letter. Find the corresponding places on the wood and slot the screws into the pilot holes. Use the drill to tighten each screw. Step 5: Repeat Step 4 with the remaining letters on your wood. Optional: If you want a cleaner look, paint the heads of your screws white. Step 6: Hang it on the wall in your preferred method! You can screw all four corners in, or hang it like a picture with wire across the back. AH! This is brilliant, got to love Michaels. Pinning now. and i have the perfect empty “i used to be a window, now there’s just a hole in the wall” spot for it!!!! HAHA I hear “don’t stop get it get it” (that Ice Cube song from the classic movie Save the Last Dance). Wow. 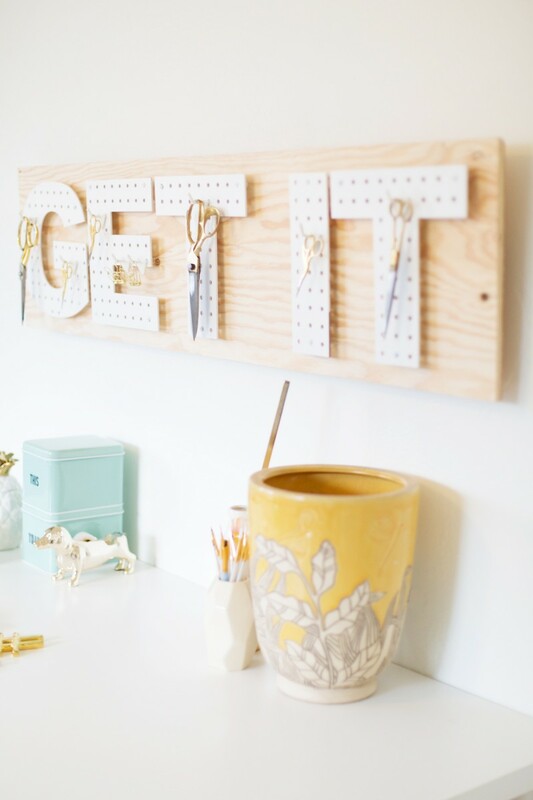 This pegboard is so cute! 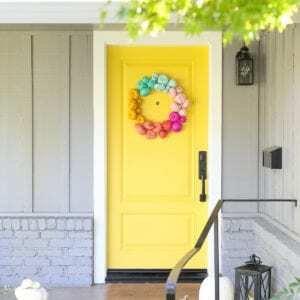 I want to make one for my office! 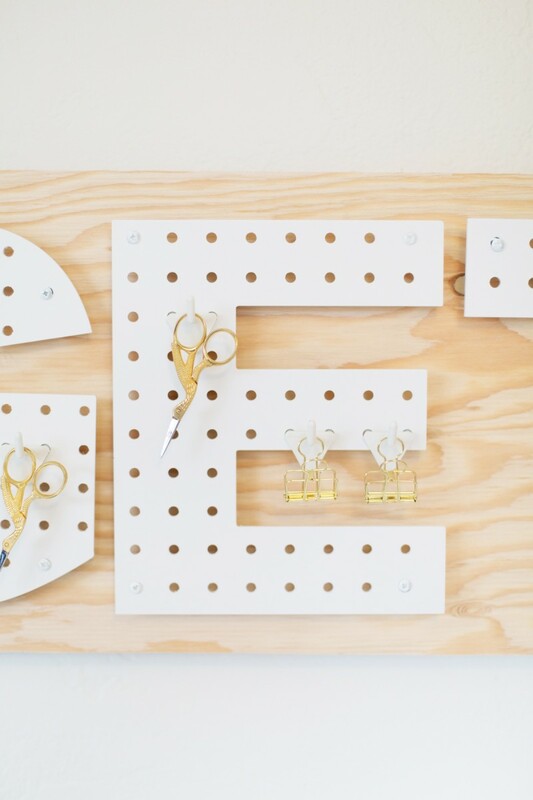 I’ve never seen the pegboard letters before, what a cute idea! 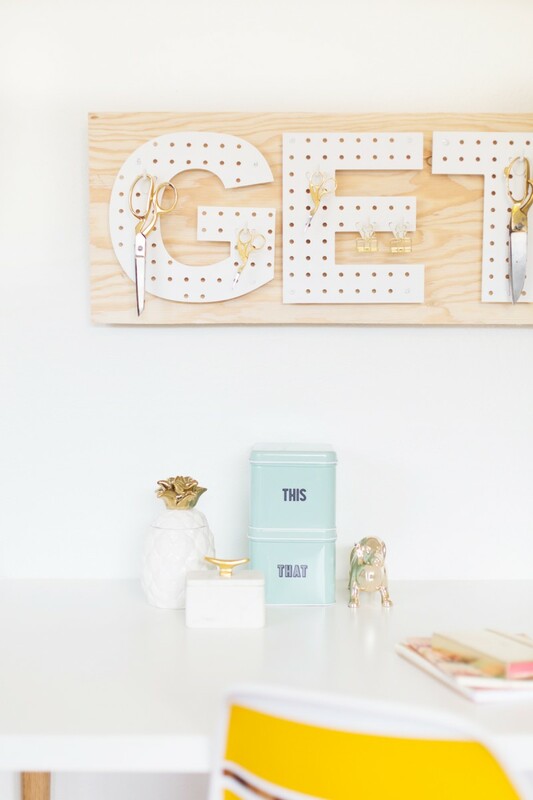 Pingback: Depois Dos Quinze | Atualizando a decor do quarto: que tal um pegboard?